The sun is amazing! Did you know that you can disinfect drinking water using sunshine and a transparent container? This little tidbit of knowledge just might save you from contracting a nasty water-borne illness. Join me and discover just how easy it is to disinfect water using solar water disinfection (SODIS). 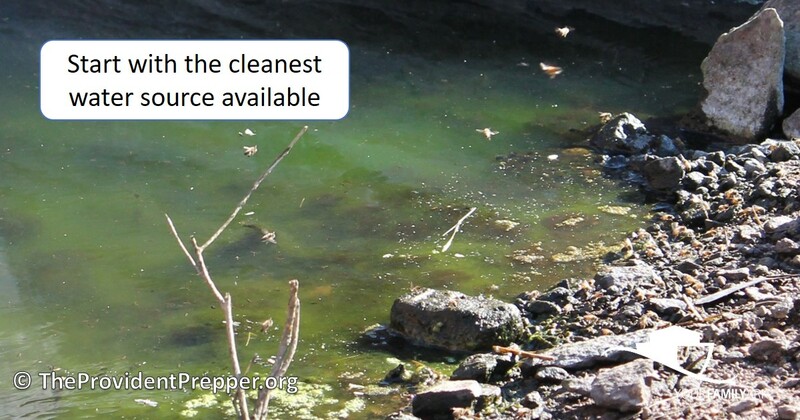 Start by using the cleanest water source available. SODIS will inactivate pathogens and disinfect the water, but it will not remove chemicals, tastes or smells. 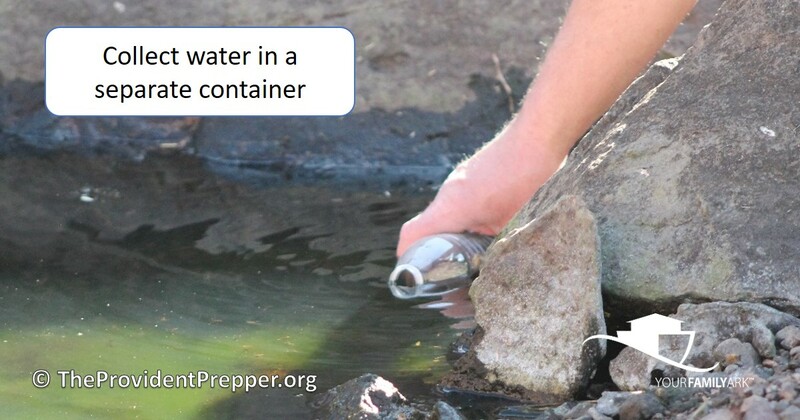 Collect the water in a container directly from the water source. SODIS guidelines allow up to a 3-liter PET transparent plastic or glass bottle. 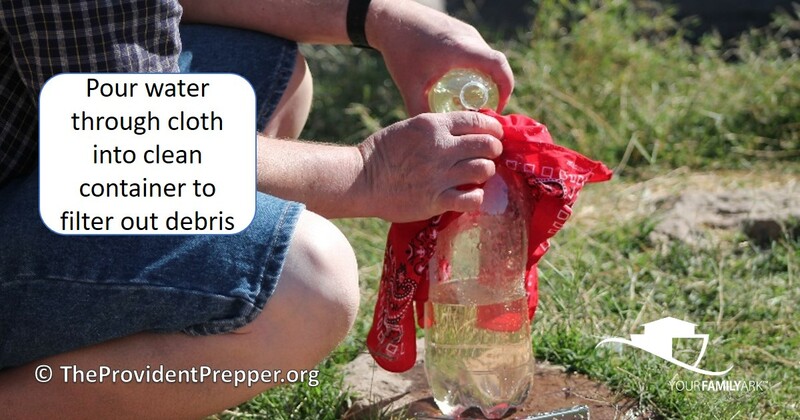 We use a 2-liter clear PET bottle to increase UV penetration to disinfect our water. A clean cloth, such as a bandana, makes a good pre-filter to remove particulate matter. We found that if you push the cloth into the neck of the bottle it creates more surface area and will filter the water more quickly. Fill the container two-thirds of the way with water. Shake to oxygenate water. This step is not necessary; however, it will enhance the inactivation of microorganisms especially in stagnant water. 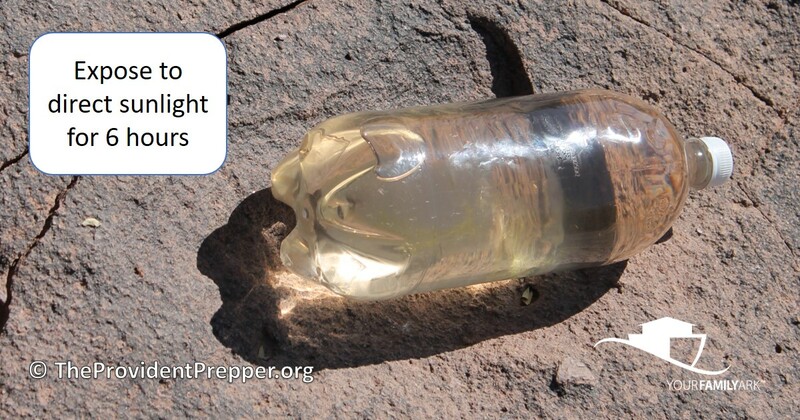 Expose the bottle of raw water to direct sunlight for 6 hours on its side. Place it on a dark surface to increase the temperature of the water. Heat enhances the inactivation efficiency of SODIS. 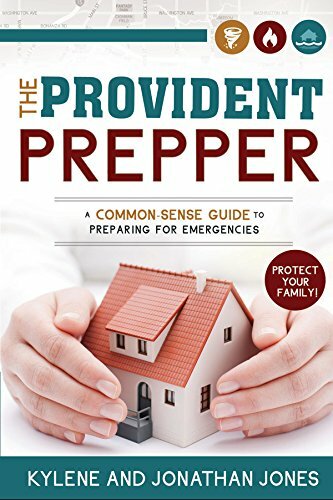 If the water reaches 45°C (113°F), only one hour of additional exposure time is required. Cloudy or overcast days may require 2 or more consecutive days of exposure to successfully disinfect water. Alternative forms of disinfection such as boiling or chemical disinfection may be required for periods of stormy weather. Several factors contribute to the death of microorganisms and pathogens including; light, temperature, nutrition, humidity, and time. Solar disinfection is amazingly simple and reliable if applied correctly. Knowledge is power. Now you know how to disinfect water by simply using a transparent container, sunshine and time. This little trick may just save you and your loved ones from contracting a nasty water-borne illness.